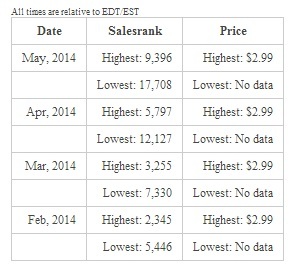 This is a really great breakdown of ebook sales and rankings. It’s unclear whether Tony’s book could have/should have been self-published, because the only way he was able to report it in the first place was by receiving an advance from a publisher. Publishers, like VCs, take bets on talent, and they help alleviate financial risk for the creator. That’s why self-publishing (while ideal!) won’t always work for those who need upfront cash to realize their vision.